The AFT tractor mounted trencher is a rugged and powerful trencher designed to fit onto the three-point linkage of tractors. The AFT 100 has been constructed in a modular form to suit a wide range of options to suit a great variety of jobs. 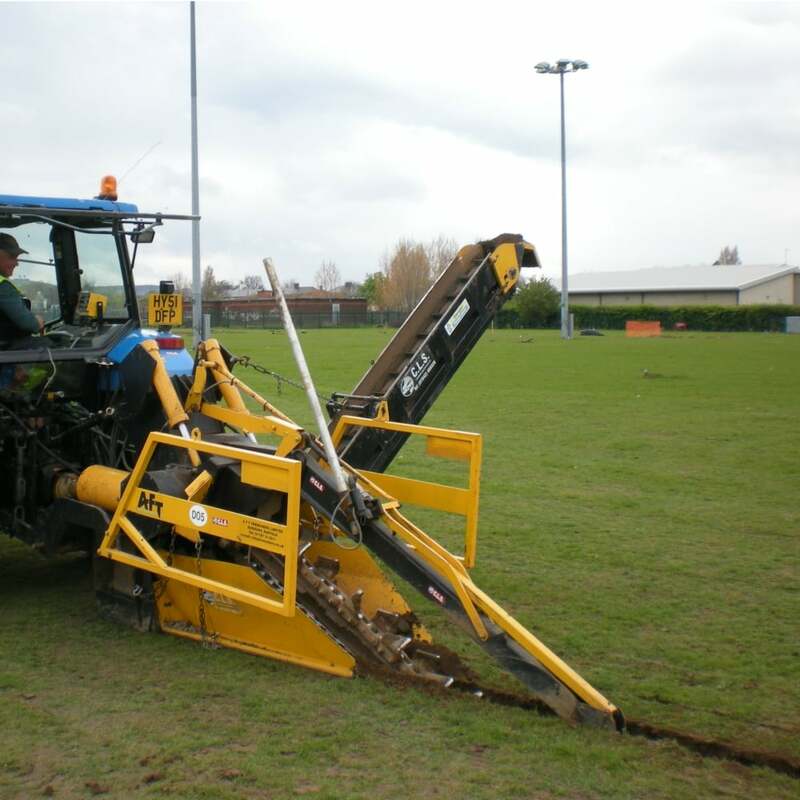 It can be used for agricultural drainage, sports turf drainage and pipe and cable laying. The trench widths can be easily adaptable from 125mm to 300mm with standard single booms and to 550mm with the twin boom versions. Available on an operated basis only.